An ISO sensitivity range of 200-25,600 (ISO 125 extended in auto) is featured on the GM1. This is a fairly large sensitivity range, although it is slightly annoying that the minimum native ISO sensitivity is not ISO 100 or even ISO 160. Thankfully, both the raw and JPEG files shot at ISO 200 are very clean, have a high level of detail and show few signs of luminance noise. In JPEGs, this level of detail preservation continues right up to ISO 800. Thereafter, the in-camera noise reduction starts to gradually break the detail down in a bid to remove noise. Overall, the in-camera noise reduction applied to JPEGs does a good job of controlling noise. In images viewed at A4 size, noise doesn’t start to become an issue until ISO 6400, but if previewed at 100% it is clear to see detail gradually become smudged. Significant detail is lost at ISO 12,800 and at ISO 25,600. Luminance noise is prominent even when previewed at A4 size. The maximum ISO 25,600 had obvious colour noise, and readout lines from the sensor are visible. Obviously, this high sensitivity setting is best avoided. For JPEGs, I think ISO 800 offers a nice balance between image quality and speed. I found that when processing raw images in Adobe Lightroom, I was able to push the sensitivity 1EV further and achieve a result on a par with the JPEGs. These images show 72ppi (100% on a computer screen) sections of images of a resolution chart, captured using the 12-32mm lens set to 34mm and f/5.6 . We show the section of the resolution chart where the camera starts to fail to reproduce the lines separately. 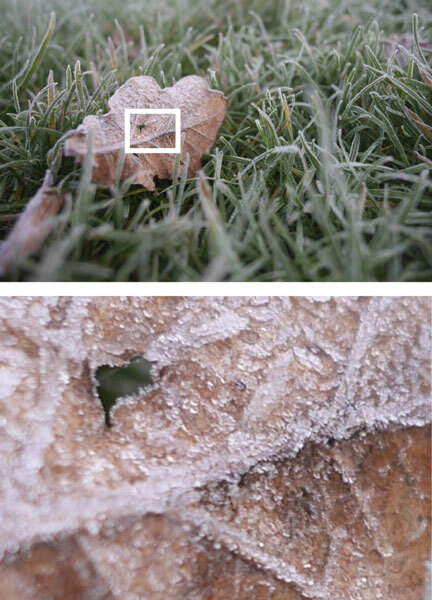 The higher the number visible in these images, the better the camera’s detail resolution is at the specified sensitivity setting.